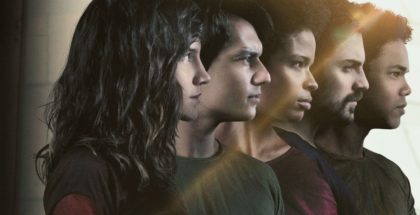 Amazon's motoring series continues to tinker with its engine as it returns for a surprisingly slick third season. “We’re back!” cries Jeremy Clarkson, at the start of a third season of The Grand Tour, and by now, fans will already know what that means – even as anyone else has likely tuned out and driven away. And yet, as Amazon Prime Video’s expensive motoring series comes back for what is essentially another lap around the same old landmarks, it’s to the show’s credit that it’s still tinkering with what’s under the bonnet to try and get things to run better. It’s been a long, often tortuous process, with a spluttering first season followed by a similarly uneven second, the trio of Clarkson, Richard Hammond and James May not quite sure how to balance their stereotypical brand of forced controversy with bigger-then-ever antics overseas, without losing the shambolic charm that made Top Gear a roaring hit during the BBC show’s heyday. But after Season 2 marked a renewed focus on cars over elaborate stunts, Season 3 shifts gears one more step in the right direction, by doing away with the celebrity guest segment. It was always the weakest part of the programme, and the decision to jettison it altogether is one that Clarkson clearly takes pleasure in announcing – a reassuring indicator that this trio aren’t entirely on autopilot here. 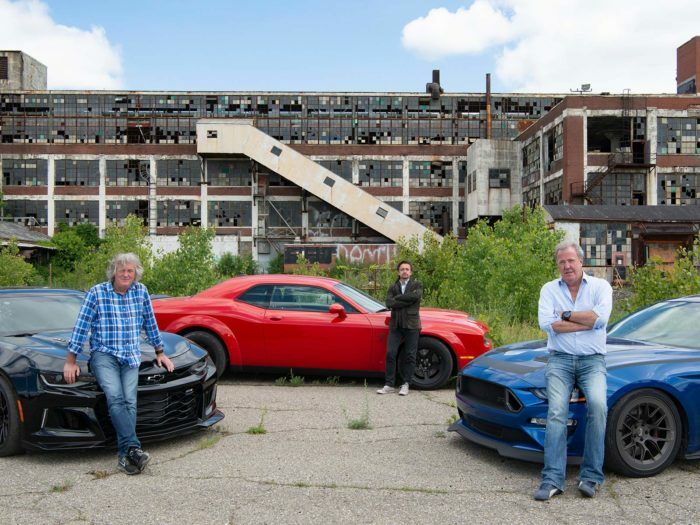 It’s fitting, then, that Season 3 should see them drive onto pastures new, as The Grand Tour rocks up in Detroit for the first time. Their arrival in Michigan sparks the anticipated tirade from Clarkson, who laments the city’s supposed decline from Motor City to a place where hipsters with beards eat “urban ramen” and turn streets into “greenhouses full of tiny soaps”. It’s the kind of rant that makes you wish The Grand Tour reprised its stronger moments from Season 1 and 2, which allowed the trio to be more serious in their documentary making – there’s an interesting film to be made about Detroit’s transformation over the years – but fortunately, the backdrop speaks for itself, as we’re swept from one quietly jaw-dropping location to another. First up is an old cinema where the gang do doughnuts as loudly as possible in the empty auditorium. Then, it’s over to an abandoned Cadillac factory, which they attempt to convert into part of a homemade racing track. It’s here where they test a Ford Mustang, a Camaro known as “The Exorcist” and a muscle car called “The Demon” to see which is the fastest. As they muck about and risk injury, the easy chemistry between the friends accelerates apparently effortlessly – a long way from the laboriously scripted jokes of the in-studio segments during Season 1. Halfway through, one unplanned gag from May leaves the other two howling with laughter – a rare chance to see the personas and dynamic they normally display subverted. 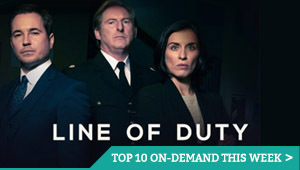 The result won’t win over new fans, but it crucially also no longer risks alienating or boring existing ones – Amazon’s figures have shown the costly production is one of its most successful shows, when it comes to getting customers to sign up to Amazon Prime, even if it has taken three seasons to fine-tune the engine. 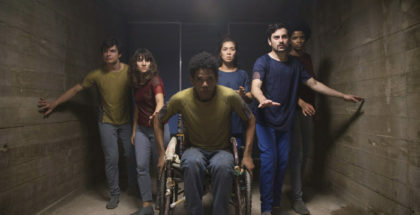 Indeed, Amazon has already green-lit a series of future specials from the presenting team, as opposed to a conventional fourth season, which will fling them around the globe for one-off outings. With a Colombia-based outing giving this third season its second chapter, there’s a chance that The Grand Tour’s final proper lap may be its smoothest yet. The Grand Tour Season 3 is available on Amazon Prime Video as part of a £5.99 monthly subscription. New episodes arrive every Friday.